With the end of the school year here and summer school quickly approaching, I wanted to send out a news update about the district. For those of you at the open forum last night, thank you for your thoughtful questions about the changes to the school. The district is moving forward with the building improvement project as well as the transition to multiage classrooms. The building addition and renovation will occur as two parts. The first part is the new addition to the building that will allow for the relocation of the elementary classrooms. This addition will house the new library/media center, a new classroom, district offices, a conference room, a mechanical closet, and restrooms. The Library/media center will house the current collection of books and materials from the old library. Within the larger space, there will be more seating and table space for instruction. The additional seating will allow for testing and other activities to occur that are away from the main building, instead of using the gymnasium or other sites. The space will be carpeted and will have new shelving units. The new classroom will be utilized as necessary for the district needs for instructional space. The current discussion has centered on the space being used for a computer lab, but with the ever growing technology available within the classrooms, this space is not truly needed for computers. The district has purchased and is increasing the number of chromebooks available so that all students should have access during the day to a computer. Not having a computer lab would allow for this room to be used for music purposes. 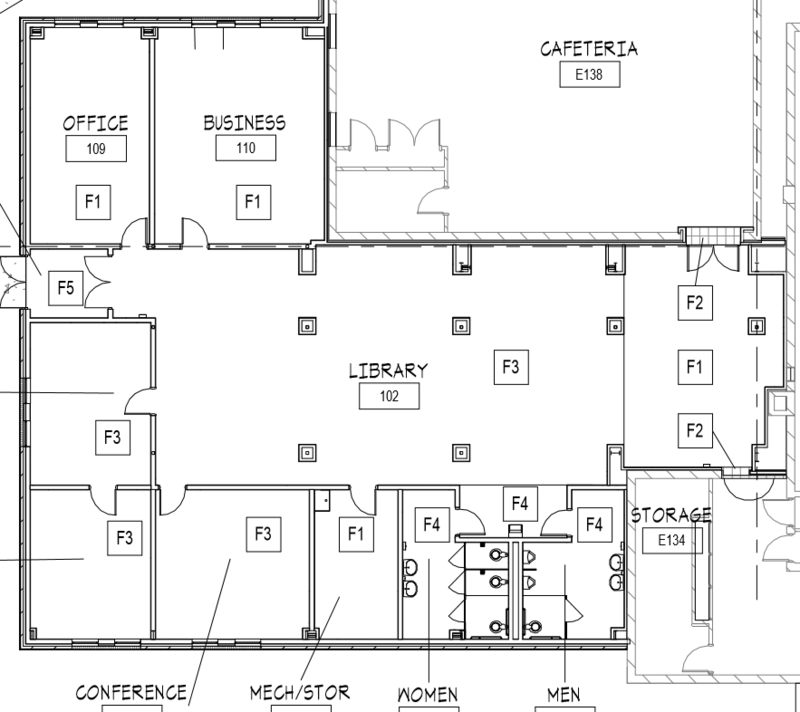 The district offices will be located in the new section to provide for the principal and building secretary to move to the main entrance of the building. The move would allow for a more secure entrance with an attendance window being installed by the current district offices. Visitors will check in at the office and not travel into the building unescorted. The current elementary classrooms are being realigned. 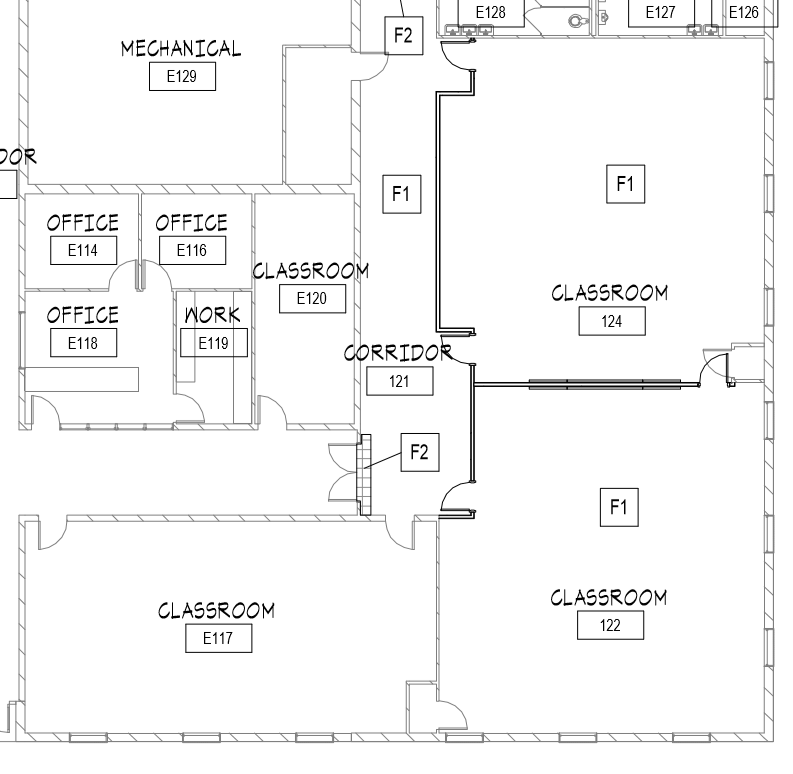 This realignment will allow the elementary classrooms to all be housed inside the building. The Kindergarten class will be in the area that is currently the Special Education room (mechanical space in picture). This was the prior location of the kindergarten and will have a large enough space for the students. The 1st and 2nd graders, the 3rd and 4th graders, and the 5th and 6th graders will be combined into single multiage unit with the two teachers providing instruction. This will allow for the students to be grouped in ability groups and appropriate instruction provided to all students. The big change will be the new classroom structures. The district has been researching this plan and teachers have travelled to other districts to observe classrooms that utilize a multiage setting. The teachers feel that this type of classroom will allow for a better learning environment for students. The district is providing materials and resources to make this transition smooth for all involved. Questions about any of the renovations or realignment can be directed to Mr. Troy Marnholtz.